Resource is designed to help teachers and teaching assistants effectively integrate students with special needs in the classroom. 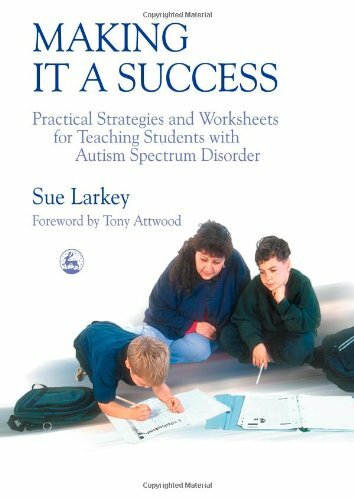 With photocopiable worksheets, ideas for activities and teacher notes, Sue Larkey presents effective ways of helping children with autism spectrum disorder (ASD) improve their social skills, reading, writing and math, play and general behavior. Provides solutions for dealing with constant questioning in the classroom as well as managing children's special interests and obsessions.